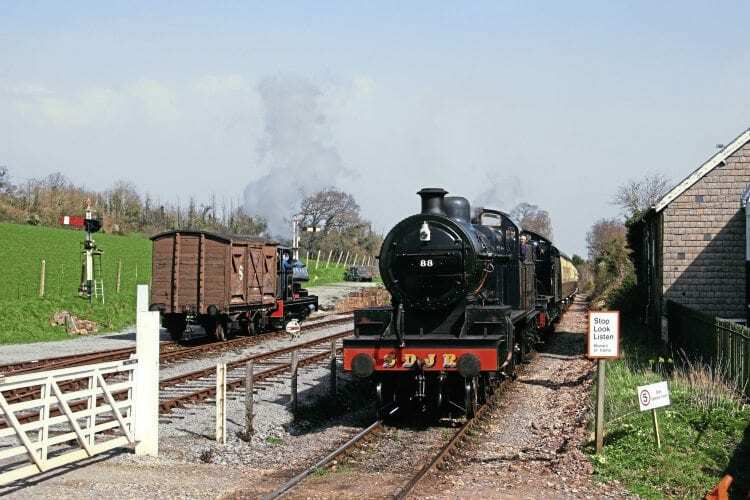 Marking the 50th anniversary of the closure of the Somerset & Dorset Railway (S&DJR), this special Lazarus Lines feature by Cliff Thomas describes progress by the Somerset & Dorset Railway Heritage Trust at Midsomer Norton on the route of a fondly remembered railway. The Somerset & Dorset is a lost railway which stirs emotions in ways few other routes emulate. There must be innumerable reasons why, perhaps the eclectic range of steam locomotives which worked its metals, or its individualistic (even quirky?) character. The Bristol Harbour Railway’s Peckett 0-6-0ST Henbury in action on December 21, 2013. Its existence was seemingly one of constant struggle amid a range of scenic attributes – and surely the books and cine footage produced by the late Ivo Peters contribute significantly towards keeping alive the memory of the old ‘Slow & Dirty’ (sometimes ‘Slow & Doubtful’, but in some sections ‘Swift & Delightful’) and winning it a place in so many hearts. Unsurprisingly, the ambition to revive a section of the S&DJR has burned strongly in the preservation era and several outposts seek to keep the S&D flame alight. 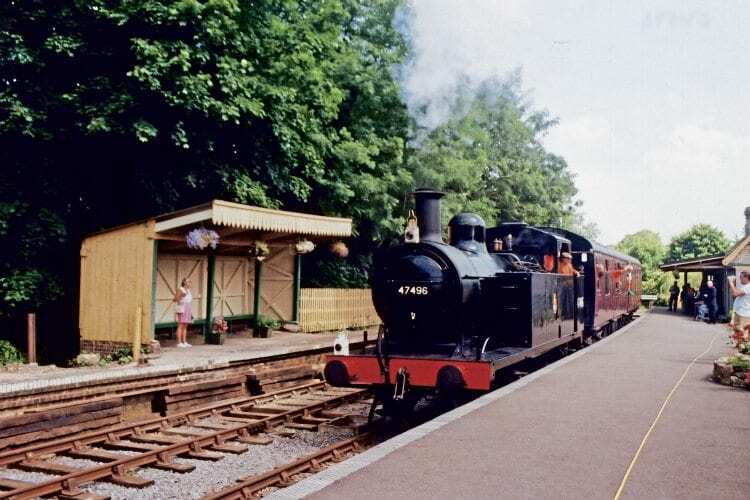 The most successful – and most likely to expand significantly – is the Somerset & Dorset Railway Heritage Trust project to develop Midsomer Norton station and extend the length of trackbed over which trains can run. After a tricky spell Midsomer Norton aims to play a significant role in the early-2016 marking of the 50th anniversary of the S&D’s closure. Midsomer Norton South station building. LMS 3F No. 47406 is visiting to provide steam over February 27-28 and the March 5-6 anniversary weekend, with home-based Sentinel 4wVBTG 7109/1927 set to provide a second steam presence, and Washford-based Somerset & Dorset Railway Trust’s travelling exhibition also present. The S&D provided the route by which trains from the Midlands and the north, notably the famed ‘Pines Express’, could reach the seaside at Bournemouth via the Mendip Hills, Somerset Levels and the rolling countryside of Dorset. Its origin traces back to the 12-mile broad gauge line between Highbridge and Glastonbury, opened by the Somerset Central Railway (operated by The Bristol & Exeter Railway) on August 28, 1854. The beautifully reconstructed Midsomer Norton South signalbox, as seen on August 28, 2006. This was soon extended to Highbridge Wharf, followed in 1858 by a mile-and-a-half extension to Burnham-on-Sea and a further line from Glastonbury to Wells, which opened in March 1859. While the Somerset Central headed southwards from Glastonbury towards Cole and Templecombe, the Dorset Central Railway was building a standard gauge line between Wimborne Junction and Blandford St Mary. The broad and standard gauge lines met at Cole, north of Wincanton, and the companies opted to combine in 1862, the line being physically completed in 1863. The resulting Somerset & Dorset Railway provided a dual-gauge line between Evercreech and Burnham-on-Sea, and created a rail link between Wimborne and the S&D’s Bristol channel terminus. With traffic not living up to expectations the company was encountering financial difficulties. Enticed by the prospect of traffic emanating from the North Somerset coalfield and linking with the Midland Railway at Bath (thus tapping into traffic from the Midlands and points north) a line from Evercreech Junction to Bath Green Square (later Bath Green Park) station was conceived as a final throw of the dice. The northward extension opened in 1874, and with the acquisition of running powers over the London & South Western Railway line into Poole and onwards to Bournemouth West the S&DJR created a significant through route from the north to the South Coast resort. The Evercreech Junction to Bath extension involved significant engineering challenges to traverse the Mendip Hills. No. 47493 (as 47496) is seen again during its historic visit to Midsomer Norton for the Return to Steam event in 2005, giving a glimpse of the promise that this restoration project has to offer. These stretched the company too far financially and it was offered for sale. The GWR made a bid but the outcome in 1875 was the railway being leased jointly by the Midland Railway and LSWR, resulting in the now-familiar ‘Joint’ addition to the line’s title. The Bath extension was now the main line with the Evercreech Junction to Burnham-on-Sea route adopting branch status. Traffic increased, as the S&DJR had hoped, to the extent that many single-line sections were doubled. Moreover, a new line was constructed between Corfe Mullen and Broadstone, avoiding the need for trains to reverse at Wimborne. This significantly reduced the status of the Corfe Mullen to Wimborne Junction section, although it continued to carry much freight and a small proportion of the through passenger trains to Bournemouth between 1886 and the early 1900s. It also played a major role during the First World War. The date is June 21, 2014 and the occasion a Midsummer at Midsomer open day. Alas no trains were running. The 1923 Grouping saw the S&DJR come under the joint ownership of the London Midland & Scottish and Southern Railways, although in many respects it retained its somewhat unique character – the locomotives keeping their Prussian blue livery and S&DJR gold lettering for some seven years. The railway continued to carry significant traffic and provided a vital link between the Midlands and South Coast during the Second World War, an American camp and fuel depot being located at Masbury. Nationalisation in 1948 initially saw the LMS supplying motive power, but in 1950 the line came under the control of BR Southern Region, resulting in the addition of Bulleid Light Pacifics to the unusual locomotive combinations to be found working the S&D. Through passenger traffic from Birmingham, Wolverhampton and as far north as Manchester to Bournemouth West probably peaked in the mid-1950s, but things were changing as the line began to come under the control of BR Western Region. The transfer was progressive with the Southern/Great Western boundary moved southwards in steps, to Cole in 1950, to south of Templecombe in 1958, and eventually ending up just north of Blandford in 1962. The route was downgraded with a number of passenger and freight services withdrawn; the final ‘Pines Express’ traversed the line on September 8, 1962 (it subsequently ran via Oxford, avoiding S&D metals), and with it went the remaining through trains, leaving the S&D providing only local services. Whether this action by BR(WR) represented rationalisation commensurate with the times, revenge for the GWR’s rejection in 1875 as some have postulated, or was simply a misguided decision to be regretted in subsequent decades, will doubtless continue to be hotly argued, but not here. Steam on the rote of the S&D! An Aveling & Porter roller runs through Midsomer Norton station with Clive Porter, a descendant of the Porter steam engineering family, at the controls. The writing was clearly on the wall and closure came in 1966. There was a brief (January to March) reprieve while local bus companies organised alternative services; a skeletal emergency service plus a series of commemorative trains ran until the final scheduled service over the full S&DJR route operated on March 6, 1966. Sections of the old line lived on for a while, the track between Broadstone Junction and Blandford Forum continuing to carry goods until January 6, 1969, the Highbridge to Bason Bridge section carrying milk traffic until October 2, 1972, and coal continuing over the line from Writhlington Colliery to Radstock until 1973. So, the S&DJR carried trains no more – except that was not the end of the story. As night follows day, closure of an old railway tends to be followed by revival projects – and the S&DJR is no exception. 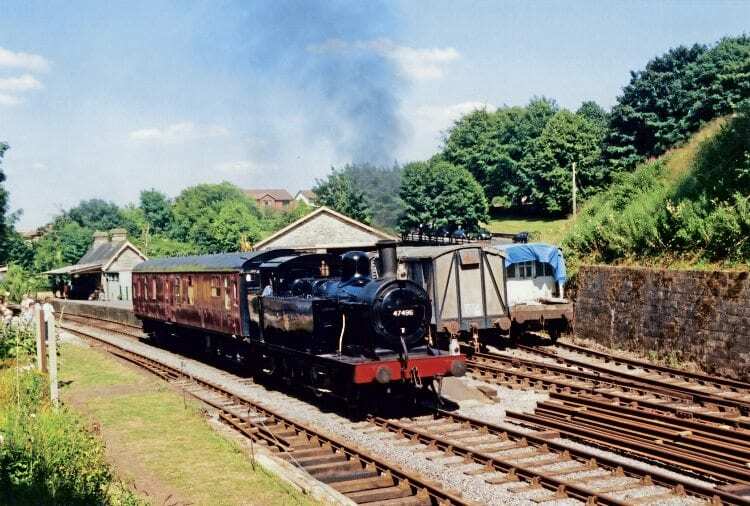 The Somerset & Dorset Railway Heritage Trust, a charitable organisation with around 1,000 members, is based at Midsomer Norton, a station on the ‘Bath extension’ part-way up the 1-in-53 climb from Radstock to the summit of the old S&DJR at Masbury. In addition to the station area the trust has been progressively expanding a running line southwards from the station precincts towards Chilcompton. Evolution of the present set-up at Midsomer Norton can be traced back to a network of local ‘trackbed stewards’ led by Richard Stevens under the umbrella of the Somerset & Dorset Railway Trust. 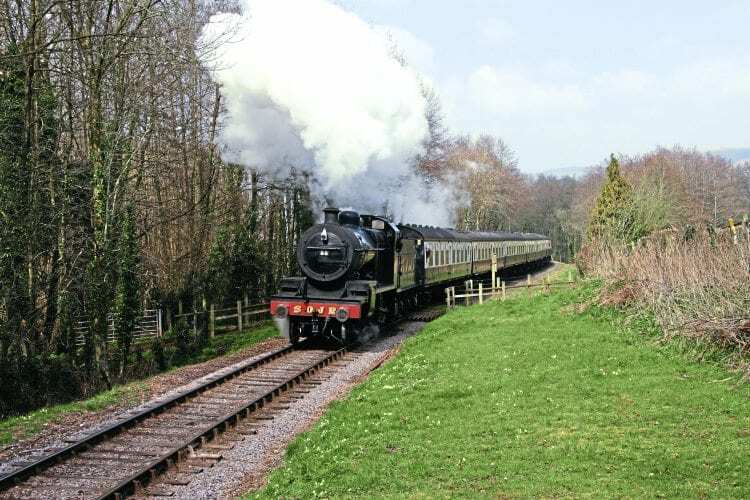 This trust subsequently concluded its future lay at Washford on the West Somerset Railway (see later), but there were supporters who still cherished the idea of finding a site for a preservation base on the actual S&D route. This found form in the mooting of the Somerset & Dorset Railway Trackbed Trust (S&DRTT ) around 1992/93, with proposals for subsidiary bodies encompassing a society to work as a members’ support group and a company to trade as the railway operating arm. The trust was incorporated in February 1995 with the aim of safeguarding the S&D trackbed throughout its route and encouraging sympathetic new uses, including, naturally, potential railway restoration. 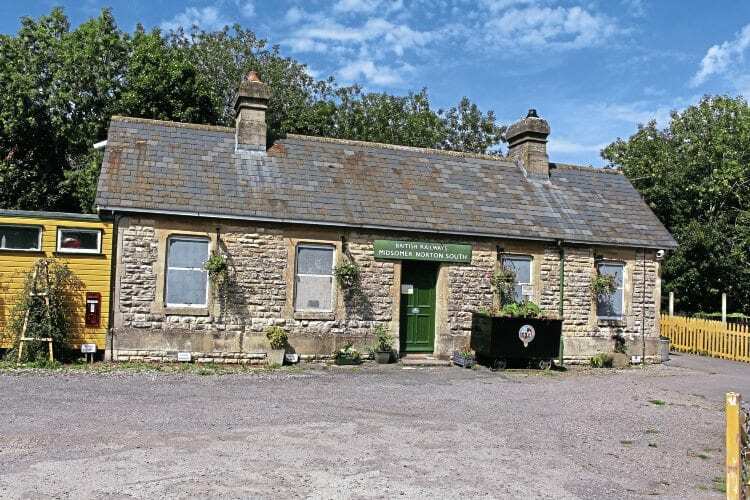 Post-closure, the S&D station at Midsomer Norton had been utilised by Norton Radstock College, which operated craft workshops and a YTS scheme at the site, but in the early 1990s, Somerset Education Authority was ready to relinquish this use. Fortunately, the local planning authority, Wansdyke District Council (WDC), refused to grant planning permission for redevelopment, which would probably have seen housing built on the station location. The council looked at the potential for developing a tourist information centre and museum at the site and S&DRTT approached it with the idea of sharing use of the station. The upshot was WDC bought the one-hectare site in 1995 and granted a three-year lease of the station to S&DRTT. In 1996, as work, principally vegetation clearance and repairs to the main station building got going, the trust had around 35 members. Growing pains were evident and two years later the project faced potential collapse. However, a new administration set about getting things on a sound footing and membership has subsequently grown significantly. Resident English Electric 0-6-0DH No. D1120 David J. Cook (built 1966) and Sentinel 4wVBTG No. 7109 of 1927 at Midsomer Norton. While the organisation was stabilised, in 1998 WDC was absorbed into the Bath & North East Somerset Unitary Authority and it became clear the battle to save the Midsomer Norton site was not yet finally won. S&DRTT approached the new authority seeking an extended lease to provide greater security of tenure, only to find redevelopment of the site remained on the agenda, the station being viewed as offering the means of providing an access road to housing development land to the south. Naturally, the trust, which renamed itself the Somerset & Dorset Railway Heritage Trust (S&DRHT) in 2000, argued against these proposals, enlisting the support of tourism bodies to present the case that the station represented greater value as a visitor attraction in what had become a depressed former mining town with few other incentives to draw visitors. The preservation case finally won the day in 2002 when the council granted the trust a new 25-year lease. This is now being converted into a 99-year leasehold arrangement providing greater security of tenure for the trust and more freedom to manage the site. 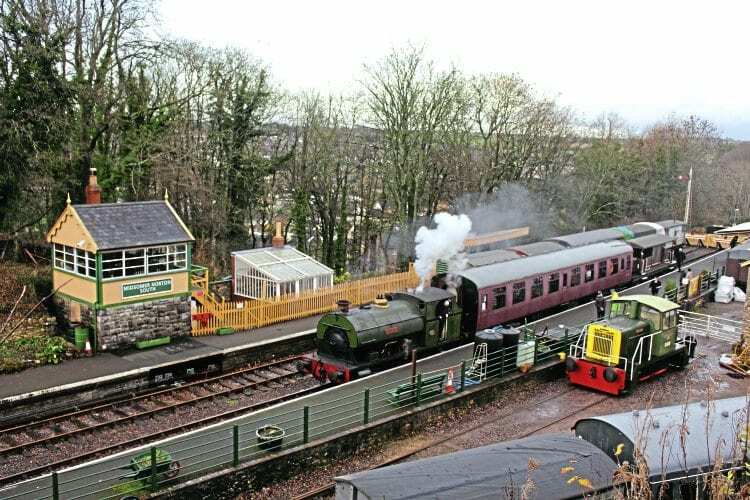 Meanwhile, in November 2001, planning permission was secured for restoration of the station to something approaching its 1950s appearance and consent was also given to operate heritage trains on a 300-yard running line, together with associated track at the station. Encouraged by local business organisations, the trust’s application to the South West Regional Development Agency for a Single Regeneration Budget grant in excess of £100,000 resulted in a 2002 award of £67,000 towards making a start on the major site works at Midsomer Norton. With the planning permission, grant and extended lease converging in a compact time frame, the project achieved a quantum leap in credibility. 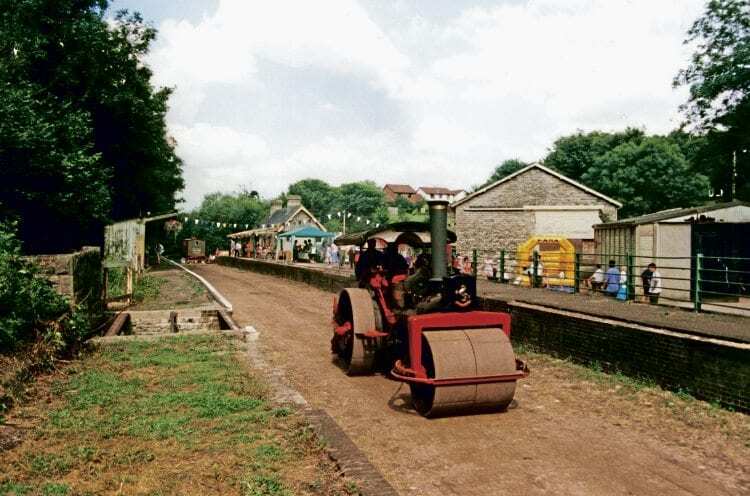 With the SRB grant money a start was made on clearing tipped waste from the trackbed and undertaking repairs to the buildings, platforms and drainage at Midsomer Norton, along with restoring fencing, acquiring track materials and generally enhancing the site. The first panel for the running line was laid in summer 2002 and the following years saw the down line extended and the addition of the up line, together with a crossover and sidings in the yard to re-create most of the 1950s layout in the station area. A departmental structure was set up in 2004 with volunteers taking on management posts, a buffet coach (formerly in service between Euston and Scotland in Virgin livery) was acquired from Porterbrook Leasing to provide a catering service for visitors and volunteers. Further progress has seen rebuilding of the signalbox, replication of the iconic station greenhouse and attention to the wartime pillbox (containing Second World War memorabilia, and with a viable claim to being one of the smallest museums in Britain) at the station site. The first steam locomotive to run at Midsomer Norton since closure of the S&D route was Barry Buckfield’s ‘Jinty’ 0-6-0T No. 47493, which visited from Spa Valley Railway to appear in a July 23-24, 2005 Return to Steam weekend. A red letter day for the S&D, although the loco only worked demonstration trains, not public passenger services. Further demonstration steam ran at Midsomer Norton the following year in the form of Andrew Barclay 0-4-0ST No. 1398 Lord Fisher and in 2006 by Peckett 0-4-0ST Lady Angela (1690/1926). It transpired there would be a lengthy hiatus until the next steam appearance – a visit by the Bristol Harbour Railway’s Peckett 0-6-0ST Henbury (1940/1937) in December 2013 when the locomotive was worked by BHR footplate personnel. The Somerset & Dorset Joint Railway Company was re-incorporated in 2009 as an operating and commercial subsidiary of the trust and basic public train operations – diesel-worked brakevan rides – began in autumn 2010. Having started with a very small band of active volunteers tackling a project which had infill across the track bed, a station building in poor repair and a goods shed, the progress made since 1996 had been outstanding. The resurrected station was now offering public passenger trains, restoration of a wooden-bodied, six-wheel Midland Railway coach was progressing, an S&D museum was being created in the stable building, and plans were well in hand to extend the running line. Progress was also being made on restoration of a resident steam locomotive (former Croydon Gas Works Sentinel 4wVBTG 7109/1927) which is being restored to its original condition, not altered to emulate a Sentinel which once worked at Radstock as was mooted many years ago. Unfortunately, internal divisions came to a head in 2013 when the operational DMU departed the railway, as did several volunteers in safety-critical areas, resulting in suspension of passenger operations in June/July 2013. Although The Office of Rail Regulation issued an Improvement Notice on December 16, 2013, related to what it identified as the absence of an adequate safety management system and a robust competency management system, this notice did not in itself preclude operation of trains. The company accepted the need for further documentation and training regimes (on March 21, 2014, the ORR accepted The Somerset & Dorset Joint Railway Company Limited had complied with the notice) and the company has since been restructured and is working on completing all the necessary procedures to restart public trains. Limited diesel operating took place in 2015, but the emphasis has been on gearing up for running in December around ‘Santa’ specials, to be followed by a full running season from Easter 2016 after events marking the 50th anniversary of the S&D’s closure. The post-upheaval efforts included formation of a ‘steam team’ at the beginning of 2014 charged with undertaking the planning and actions required to secure regular steam-hauled trains at Midsomer Norton by 2016. Owners of steam locomotives who may be interested in basing their engines at Midsomer Norton are also being identified, so the introduction of regular steam is definitely on the agenda. The Sentinel, naturally, has an important place in these plans. Completion of its restoration has cheerfully been defined for some time as ‘about a year’ away, but its owners were fitting vacuum braking earlier this year and have been asked if it can be in steam for this year’s 50th anniversary. It steamed for the first time on February 9. During the interregnum, while trains have not been operating, special events (e.g. wartime and heritage transport weekends) have continued to be held, proving financially successful, which bodes well for when train services are re-introduced, and the shop in the old station building remained regularly open to visitors. Such events have also featured guided walks along the trackbed and operation of temporary miniature lines on the platforms. As things stand, around 1,000 metres of track (about two-thirds of which is double track) have been laid on the original trackbed from the station southwards in the direction of Chilcompton. This length covers the original lease from Bath & North East Somerset Council (about 300 yards), supplemented by a 2006 lease covering a further 300 yards of trackbed (for which planning permission was secured in April 2009), and a further extension covered by an additional trackbed lease up to the boundary with Mendip District Council, secured in 2010, for which planning permission was granted in May 2012. All these planning permissions have been conditional on construction of a new lineside path and production of a habitat management scheme for the railway corridor. Construction of the most recent extension started at the beginning of September 2012 when contractor’s plant arrived to remove tree stumps and grade the trackbed, with the section being available for use in late June 2013. The next target is a point close to the north (Midsomer Norton) end of the infilled Chilcompton Tunnel Cutting, where the ambition is to build a halt and run-round loop. Negotiations are advancing to lease the additional 550 yards of trackbed needed to reach this spot (the name is yet to be decided – Chilcompton Tunnel Halt perhaps?) and an application for planning permission to lay track should be submitted in early-2016. Meanwhile, there are plans for expansion at Midsomer Norton on land known as ‘Somervale Sidings’. This land, on the up side, south of the station, was bought in 2012 with a view to adding sidings; the ultimate aim is construction of covered accommodation for locomotives and stock. The area has been fenced and a civil engineering assessment undertaken to assess the ground conditions and consequent design requirements for land-shaping (as opposed to landscaping) necessary for submission of a planning application. The prospect of a mile-long operational railway on the S&DJR trackbed is in sight, but what are the chances for further expansion? The trust is exploring the scope for extending further, both southwards and northwards, but neither will be straightforward and both would be expensive. Looking north, the immediate problem is obvious: the B3355 road. This crosses the old route a few yards beyond the buffer stops, backed by a gravel trap and stone-filled barricade, which precludes any possibility of runaway rail vehicles going down the grass bank into the road, which itself drops steeply down to the town of Midsomer Norton. If the road could be bridged, the trackbed is intact in the direction of Radstock, albeit partly occupied by a cyclepath. Three replacement bridges and considerable sums of money would be required to expand in this direction. Moreover, the B3355 (realigned and raised several feet when the old bridge was removed) would need to be lowered. Difficult and expensive, yes – but an expert bridge engineer (and trust member) has produced options for structures at the location. Realistically, a funding appeal lies some time away, unless a very generous benefactor emerges. To the south, the twin bores (for many years used by a rifle club) of Chilcompton Tunnel are intact, but the deep cutting leading up to the north portals has been used as a landfill site for household refuse. The Bluebell Railway managed to find a way of dealing with such a problem at Imberhorne Cutting to bring its East Grinstead extension to fruition, so nothing is impossible to resolve – given hard work and enough money. Meanwhile, the trust has registered its interest with the Highways Agency (BRB Residuary’s successor) in taking over the tunnel bore leases should the gun club relocate. South of Chilcompton tunnel the route passed through Binegar station and Masbury Halt before reaching Shepton Mallet. The Masbury site was bought by a new owner in 2008, reportedly with plans to lay track, but as a private undertaking rather than being part of a public line. The location came to prominence again in 2013 when it was announced the station building and site were to be sold, but the owner had given the S&DRHT first refusal provided it could raise the cash by September 30. If the purchase price was not raised by the deadline the property was to be offered on the open market. 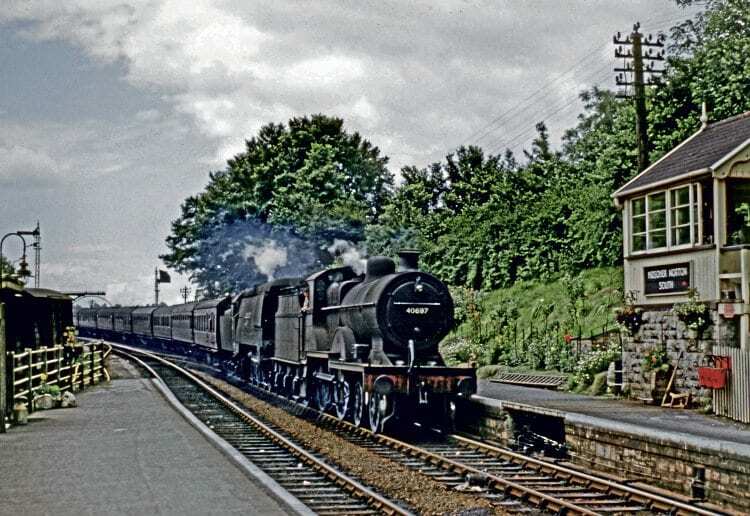 The trust hastily launched a £500,000 appeal, viewing the chance to buy Masbury station as a potentially one-off opportunity to conserve another section of S&DJR trackbed with the long-term potential of becoming part of the cherished ambition of significant southern expansion from Midsomer Norton. Time was short and the appeal was not as widely publicised as might have been hoped. The effort raised more than £80,000 at the September 30 deadline – laudable in the circumstances, but well short of what was required. The property went back on the market and was sold in September 2014. The new owners and the trust are in contact and a future railway presence at the site does not seem to be ruled out. Money was returned to donors who requested refunds, although many opted for their contributions to be retained (some £47,000 of the £80,000 donated) by the trust and applied to developing the extension towards Chilcompton. Initially, part of the residual appeal cash was reserved for possible collaborations with the new owners at the Masbury site. However, £30,000 has recently been allocated towards creating covered accommodation at Somervale Sidings, which will pump-prime a new £200,000 funding appeal towards construction, associated services and security measures, and therefore hopefully encourage the owners of S&D-appropriate locos to bring their engines to the site. That the trust tried to buy the Masbury site and retains hopes of developing some form of presence there indicates its long-term aspirations. How difficult would it be to revive the S&DJR from Midsomer Norton to Shepton Mallet? In a word, very – there are about 50 landowners on the route not to mention the expensive civil engineering involved. That said, ‘very difficult’ is not the same as impossible – and preservation has pulled off a few ‘project impossibles’ already, so who knows? Let’s just say that it remains a long-term aspiration. Meanwhile, The Somerset & Dorset Railway Heritage Trust has plenty to be getting on with at Midsomer Norton and continuing development of its immediate extension efforts. Cash is always welcome, but the greatest need is for talented and enthusiastic volunteers. 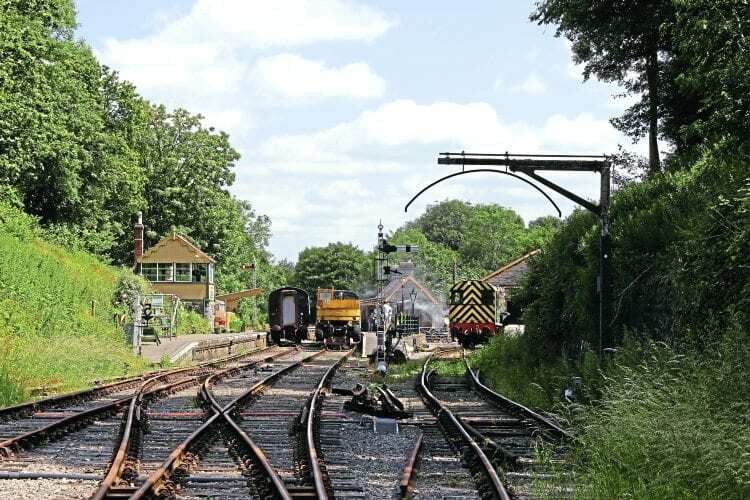 Training will be provided to build on the existing nucleus of safety critical staff to enable Midsomer Norton to complete the transition from railway museum to fully working steam-oriented heritage railway. 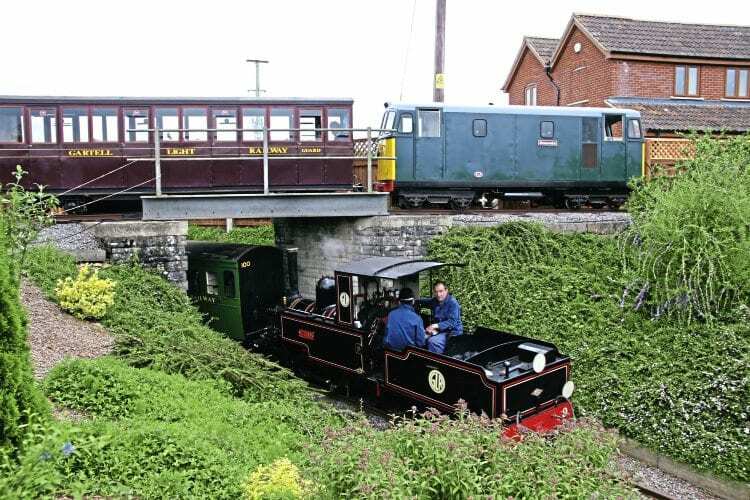 ANY reference to trains, indeed steam-hauled passenger services, being revived on the S&D route must be qualified by the simple fact that the 2ft-gauge Gartell Light Railway has been operating such public trains on part of the trackbed south of Templecombe since 1990. Charming as this privately owned line is, the Gartell set-up is not of itself an S&D-orientated revival project. 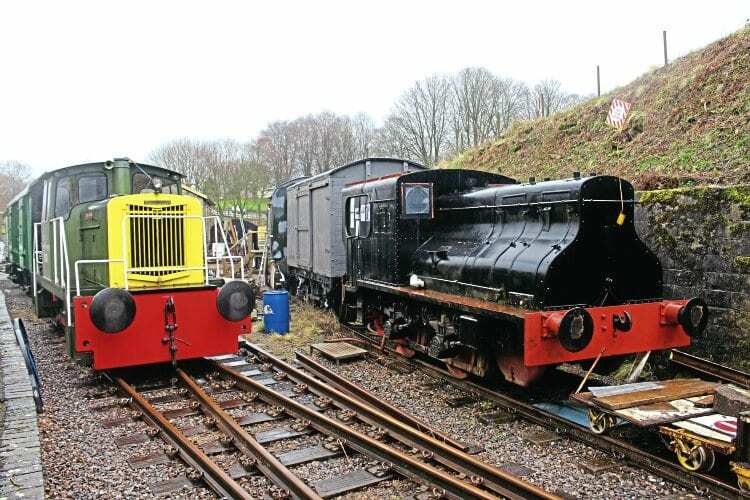 The Somerset & Dorset Railway Trust (S&DRT), a quite separate organisation from the trust operating at Midsomer Norton, despite the similarity of titles, is dedicated to all matters relating to the S&DJR and its associated undertakings. Its roots lay in the late-1965 formation of the Somerset & Dorset Railway Circle. A base was developed at Radstock North station and in the early 1970s a few steam-hauled brakevan rides operated. Aspirations to develop the line and create a mining museum ended when the local council bought the site from BR for redevelopment and gave the embryonic railway operation notice to quit by the mid-1970s. The S&DRT relocated to Washford station (obviously a GWR location) in 1974/75 on the West Somerset Railway. When the trust moved in the station was derelict and the WSR revival project not yet operational – plainly the WSR is now one of Britain’s leading heritage lines. The trust has developed a museum within the station building, a sizeable restoration and storage shed in the old goods yard, and owns S&DJR ‘7F’ 2-8-0 No. 88 (which runs on the WSR under an operating agreement), together with items of S&D rolling stock, including the immaculately restored 1886-built former S&D first class coach No. 4. 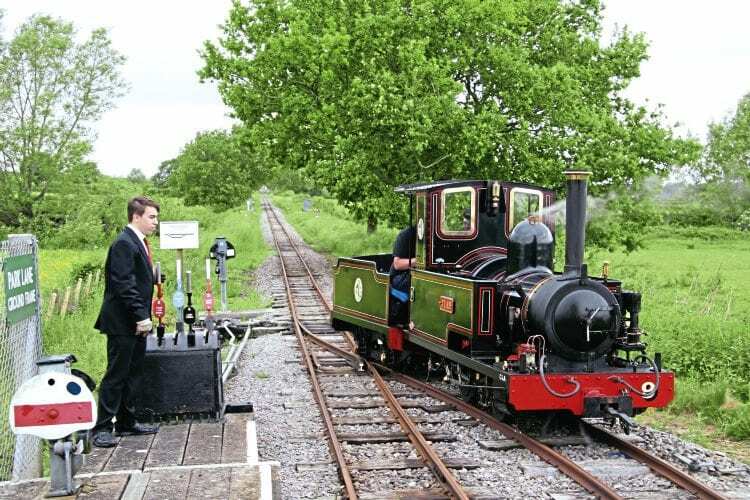 The trust also owns Peckett 0-4-0ST Kilmersdon, which originally worked at Kilmersdon Colliery in the North Somerset coalfield. During WSR events Kilmersdon is usually steamed and shunts the collection of S&D stock around Washford yard. A few years ago it looked likely S&DRT’s leased presence at Washford would be terminated, leading to talk that the trust might relocate its assets to an S&D site (Midsomer Norton came into the reckoning), but a change of WSR strategic thinking means S&DRT looks likely to remain at Washford for the foreseeable future. The Shillingstone Railway Project is centred on Shillingstone station, built by the Dorset Central Railway on the southern section of what became the S&DR in 1862, and notable as the last surviving station building constructed by the DCR. In addition to restoration of the station and development of associated facilities, a running line within the station and immediate environs is being developed. The site is open to the public on selected dates. The New Somerset & Dorset Railway (NS&DR) was formed on March 6, 2009 – 43 years to the day after the S&DJR closed to passengers. It owns the site of Midford station, south of Bath on the ‘extension’, where the platform remains, but the original wooden station buildings are long-gone, the trackbed through the site now being part of a surfaced footpath and cycling route. 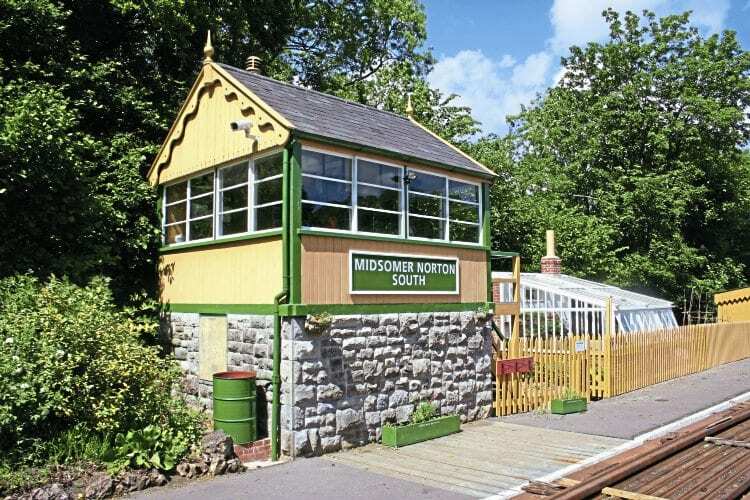 The stated aim of the organisation is to rebuild the station with the aspiration of it serving part of a revived railway between Bath and Midsomer Norton. Following acquisition of the Midford site and undertaking tree and vegetation clearance, the organisation stated it was working towards securing Spetisbury station on the original S&D route, south of Blandford, and carried out some clearance and restoration work on the remains of the platform and building. So far the NS&DR has constituted a lobbying rather than railway revival organisation. However, these are associated with revival of the closed part of the Frome to Radstock via Hapsford Junction and Mells Road line (the Frome to Hapsford Junction section still being used by Hanson Aggregates’ stone trains serving Whatley Quarry) rather than related to the S&D route through the town. Moreover, the calls for a railway revival are based more on the concept of a community railway than a heritage operation. In the mid-1990s a group named the Somerset & Dorset Railway Restoration Trust (S&DRTT ) promoted a bid to reopen the S&DJR between Radstock and Shepton Mallet. Although separate from the (then) Somerset & Dorset Railway Trackbed Trust, this proposal obviously envisaged running through Midsomer Norton at a time when the S&DRHT was negotiating to secure the station, unsurprisingly bringing about no little confusion in the public mind over the various S&D organisations. The S&DRTT sought Millennium Lottery funding, but after failing to secure a grant this organisation seemingly folded. Next Post:Steam gala – French style: France’s premier preserved line holds 10th Fête de la Vapeur – and it’s the best ever!